This Part represents a constitution for the prevention of pollution of the seas on a global, regional, and local basis. 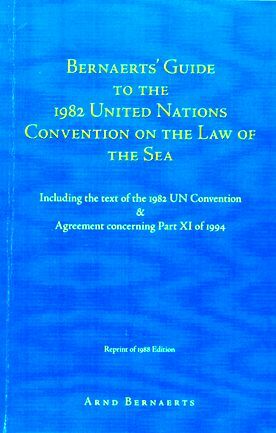 Any obligations assumed by states under special conventions and agreements related to the protection and preservation of the marine environment are to be carried out in a manner consistent with the general principles and objectives of the Convention; consequently, these provisions should not be viewed solely as a text of law, as they are also a political document. This thread of thought can be found in many of the provisions, which require the states to undertake efforts to create a reliable and effective global system for the protection of the marine environment by means of international co-operation, including technical assistance and environment observation, and the application of international regulations and standards. All states have the obligation to protect and preserve the marine environment and can be held liable for failure to fulfil their obligations, e.g., if pollution spreads beyond the area where a state exercises its sovereign rights. They are obliged to take measures to reduce to the fullest possible extent pollution from all sources, whether land-based sources, sea-bed activities, dumping, the atmosphere, or vessels; furthermore, plans must be made to prevent accidents and deal with emergencies that may occur during the operation of vessels and installations and devices used for exploration and exploitation. However, these provisions affect mostly the coastal states and the flag states; only those provisions dealing with the Area, dumping, and the atmosphere (which includes air navigation) affect all states, as these fields are either partly or wholly related to the high seas. A corollary to these provisions is the granting of investigative power to port states, which may even initiate proceedings in respect of unlawful discharge beyond their general jurisdiction against any vessel, which is voluntarily within a port or at an off-shore terminal of the port state. The main responsibility for the protection of the marine environment lies with the states, which have a coastline. These states, which enjoy the benefits of being granted sovereign rights over living and non-living resources within the limits of an exclusive economic zone and a continental shelf, have also been given the corresponding duty to protect and preserve the marine environment within these areas. Significant in this context are the duties not to transfer damage or hazards, to provide necessary information, and control land-based sources of pollution, sea-bed activities, and vessels. 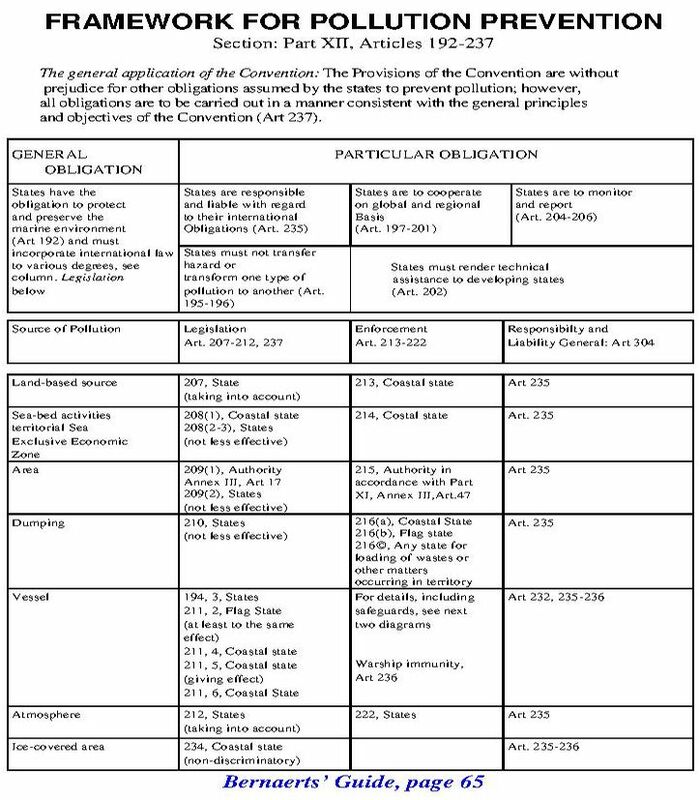 The Convention distinguishes among varying levels of intensity of involvement, e.g., "taking into account," "not less effective," and "giving effect." This results from the Conference's aim of unifying pollution regulations on a global basis without overburdening the capabilities of developing states. However, the urgency of controlling marine pollution also caused the Conference to provide for scientific and technical assistance and preferential treatment for developing countries in their efforts to prevent, reduce, or control pollution and its effects on the environment.